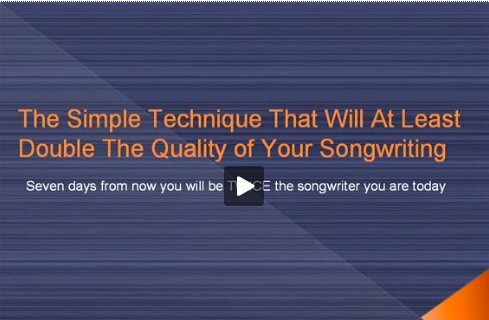 Want to know how to write a melody that'll blow away your listeners? Once you know these techniques you won't believe how easily and often stunning melodies will come to you... and every melody you write will instantly hook your fans and have them listening intently the whole song. One last thing... You'll notice that the word "irresistible" has incorrect spelling on the first page. I apologize for that however am too lazy to go in and fix it! Love what your doing, Keep it up!! Your video has great ideas and techniques - you have creative insight - thanks Geoff. As always, more solid guidance and techniques from you. Cheers! You are so right...often the best ideas, musically or lyrically, come in the middle of the flow. Thanks! !